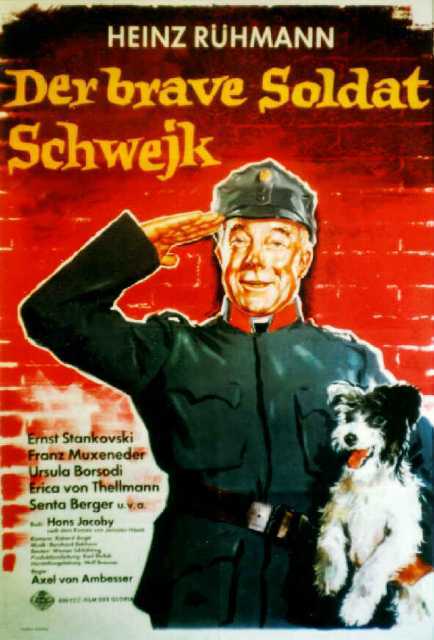 Der brave Soldat Schwejk is a motion picture produced in the year 1960 as a Germany production. The Film was directed by Axel von Ambesser, with Erika von Thellmann, Fritz Imhoff, Franz Muxeneder, Rudolf Rhomberg, Heinz R�hmann, in the leading parts. We have currently no synopsis of this picture on file; There are no reviews of Der brave Soldat Schwejk available.